Christiansen was one of roughly 235 miners laid off from Peabody Energy’s North Antelope Rochelle mine in northeast Wyoming—the largest coal mine in the U.S. Arch Coal’s Black Thunder mine, the second largest, also cut its workforce last week by 15 percent, or about 230 people. The layoffs were the first major cuts in Wyoming, which had largely avoided the job losses that have affected Appalachia. 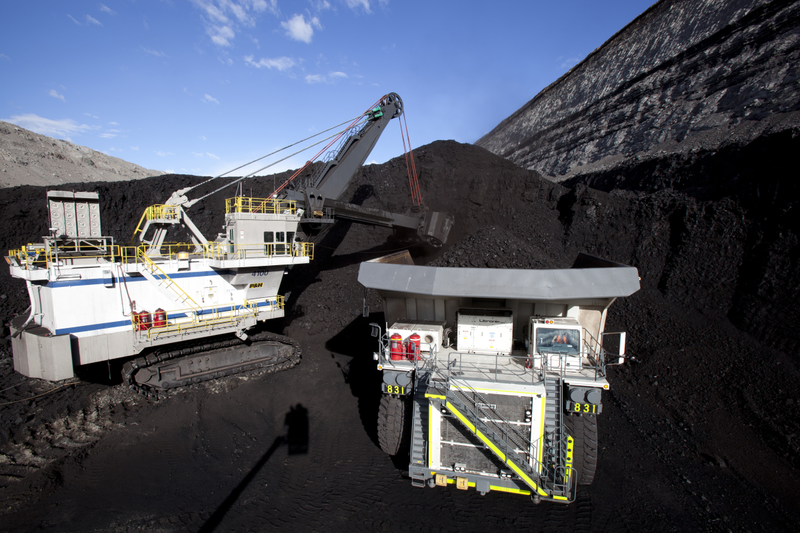 Many miners found themselves unprepared for the layoffs, having assumed the mines in Wyoming’s Powder River Basin, which produces the cheapest coal in the country, would be immune to the industry’s recent downturn. “Obama has put us out of business,” Christiansen said. That’s also a common sentiment among Wyoming’s political leaders and the coal companies. “We have filed what we believe is a record number of lawsuits [against federal rules and regulations], trying to address the situation with coal,” Wyoming Governor Matt Mead said, in a press conference addressing the layoffs. But regulation is arguably the least of coal’s problems, at least in the short-term. Coal’s number one enemy? Natural gas. Thanks to the controversial drilling technique known as fracking, U.S. natural gas supplies have soared in recent years and prices have fallen, hitting record lows in recent months. Global demand for coal is also falling, which has sunk plans to export American coal to Asia. Despite those daunting realities, Governor Mead promised that he will “double down” on coal while also acknowledging that he is worried about a potential exodus from the state. “People need to be able to work and feed themselves and feed their families and have insurance and when good jobs are at the coal mine are lost, it’s understandable they may look elsewhere,” he said. Frank Thompson is one of those miners who may soon be looking. A single dad, he worked as a diesel mechanic for Peabody Energy for seven years before getting laid off. Now, he’s not sure what he’s going to do. But he says if he can’t find a job in Wyoming, he’ll be leaving, in order to make sure he can provide for his son. Understandably, Thompson is not happy about losing his job, but he says if he was going to be laid off, he’s happy it happened now. He got a decent severance package, which will give him some time to find other work, but he thinks workers who get laid off down the line won’t get the same kind of benefits. And these layoffs are unlikely to be the last. An interactive timeline detailing the collapse of Peabody Energy, the world’s largest coal company.